We have re-designed the interior of our Vivo 50 and 60 ventilators to meet new needs from medical staff, support a much wider range of patients and deliver the clinical excellence, versatility and the low cost of ownership you expect from the Vivo 50/60 ventilators. 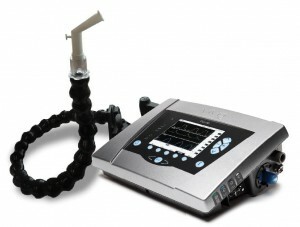 Mouthpiece Ventilation is now available as a dedicated mode. Both PCV-MPV and VCV-MPC can be set. SIMV available on both Vivo 50 and Vivo 60. Breath Rate is settable down to 0 bpm in MPV. Alarm settings are adapted to MPV application. Display of Vte and MVe when using a Leak circuit. Updated PC Software to be compatible with the new Firmware. Updated Service Software for improved ease of use.